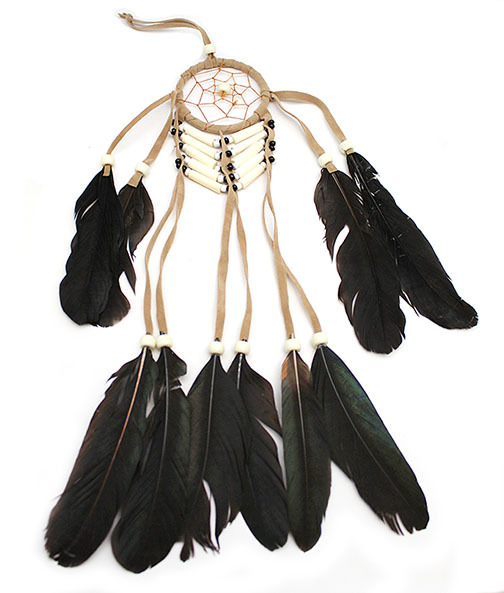 2 1/2" dream catcher with with suede leather and string as the web with a plastic bead. It also has synthetic bone beads and plastic beads dangling from the bottom with 10 imitation feathers. It measures approximately 15" long from loop to hang to tip of bottom feather. It is Navajo hand crafted by Julia Lee.